Whats the vibe? Super-cool, underground club meets chic, dehli eatery. 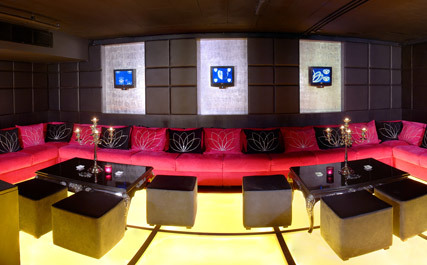 A firm favourite with all manner of celebs, think glittering chandeliers, cosy velvet banquettes and a glossy black bar. Its perfect for people watching and exceedingly smart. But dont underestimate the food. Trust us, Tamarais Pan Asian menu seriously delivers. Taking inspiration from Burma, China, Hong Kong, Singapore, Thailand, Malaysia and Vietnam, its a veritable feast for the senses. It is. But food lovers beware! Its very easy to get carried away, and honestly, we could have ordered everything on the menu. In the interest of time (and our waistlines!) we plumped for a selection of sharing starters and one (sizable) main. Street food without the street Throughout July and August, youll get to snack on a brand new street food menu, with new dishes added every week. We sampled corn fed chicken rolls and some pan-fried char sui buns with crispy garlic oil. You must try these  they are amazing! Alternatively? Share a couple of small plates as a starter. The perfectly seasoned Caramel and Szechwan Pepper King Prawns, and delicious Dim Sum basket come with our particular recommendations. If you have room, that is! We sampled succulently tender Pan Fried Pork Belly with golden lotus root and honey hoi sin sauce, and fragrant Thai Green Curry with chicken, pea aubergine, young bamboo shoots. That said, we could easily have ordered steamed sea bass or curry leaf king prawns. It was a tough decision! And if you can squeeze in pudding? Its well worth it! The chefs dessert platter is the ultimate indulgence, but an absolute must for those with a sweet tooth. We were convinced we couldnt eat another thing, until we spotted the coconut and palm sugar brulee, nestled next to roasted sesame and white chocolate semi freddo. To drink? Its worth popping in early and sipping a cocktail or two at the bar  the Bejing Bellini with Chinese pear and kiwi puree went down a treat. Alternatively the extensive wine list designed by Charles Metcalfe has something for every budget and taste. All in all? Definitely worth a visit. A meal with wine wont come cheap, but we have a feeling you wont be disappointed. This place is hot, hot, hot. Need to know? 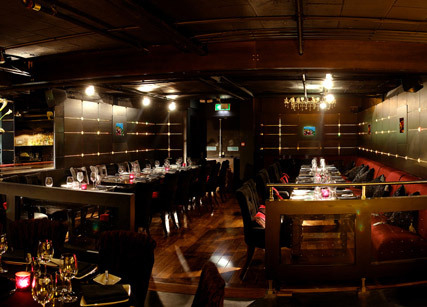 Tamarai is open for food from Monday  Saturday 5.30-11.30, with a late night bar from 10pm-3am Friday and Saturday.